Now that’s how you start a black metal record. If you’re a band known for taking things to misanthropic and nihilistic extremes, it really is standard operating procedure. Aeons in Sodom, the seventh full-length from Norwegian stalwarts Urgehal, begins with the above words, uttered in a voice from the grave exhorting fans to all manner of antisocial behaviour. The voice belongs to none other than founding member Trondr Nefas, who unfortunately passed away in 2012 , leaving behind enough guitar parts for fellow band members Enzifer and Uruz to build an album around, although zero vocal recordings to accompany them. The result has created two instrumentals and eight guest vocal performances  on what is, in every other way, a typical Urgehal record. The question then becomes, what is a typical Urgehal record? This required some research on my part, as the only representative in my library was 2001’s Atomkinder, an unforgiving album of black metal themes overlaid on straightforward thrash-meets-death riffage. Several hours later yielded very little evidence to bring about a change of description. The Urgehal sound has not evolved very much between 1997’s Arma Christi and 2009’s Ikonoklast, but their production values have improved immeasurably. The greatest area where progression can be found is in the drumming, which has grown from flat-out death metal blasting to a more sensitive element of the rhythm section . While Urgehal themselves claim to being heavily influenced by the early Darkthrone sound , that raw ‘do-it-yourself’ sound that so many early black metal and punk recordings have in common is entirely replaced by spot-on consistency within the band ensemble. While several other Norwegian bands (Tsjuder, Taake and 1349, to name a few) opt for the more ‘traditional metal’ approach to songwriting (guitars and drums) , what Urgehal lacks – and the aforementioned possess – on their back catalogue (and Aeons in Sodom is no exception) is atmosphere. Whether it is due to the overpolished production of recent releases or the sheer aural assault of earlier albums, the ‘grim and frostbitten’ ambiance that typifies the majority of black metal is absent from Urgehal’s sound. On Aeons in Sodom, the only track that comes close to achieving this is ‘Norwegian Blood and Crystal Lakes’. This could be a side effect of the anguish Niklas Kvarforth (the infamous frontman of Sweden’s Shining) typically imbues his vocal performances with, but it could also be thanks to the slower tempo that allows the guitars to build and sustain texture, resulting in a very respectable piece of black ‘n’ roll. Despite the overproduction and lack of atmosphere weighing against it, Aeons in Sodom is actually a very well-constructed record, piecing together multiple vocal performances without sounding like a tribute album of Urgehal covers, or compilation of various black metal artists. While the first listening was made difficult by the sense of loss imparted by the knowledge of Trondr’s passing, Aeons in Sodom still works as a strong album and a cohesive unit. Differences are undeniably evident in the vocal styles – for example, Darkthrone’s Nocturno Culto rasping on ‘The Iron Children’ sounds nothing like Tsjuder’s Nag roaring on ‘Psychedelic Evil’ – but an overall flow is maintained that nevertheless links these disparate styles cohesively. 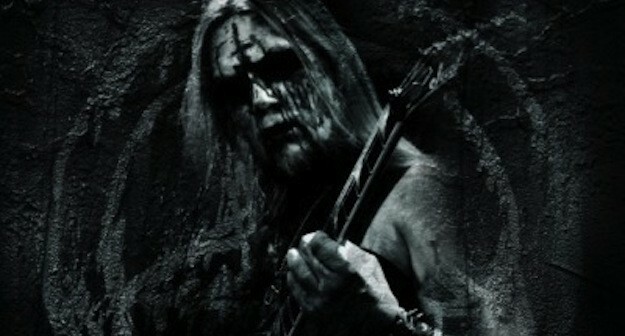 Carpathian Forest‘s Nattefrost’s contributes to ‘Endetid’, which manages to sound the most like an Urgehal song, possibly because his vocal style is similar to Trondr’s. The changes in pace and variations in singing style on this track also make for a very dynamic composition, not to mention how the closing lead complements the tremolo-picked melody line of the song’s latter third beautifully. From an atmospheric black metal perspective, this track is the most likely to please listeners. ‘Endetid’ proves that even the guitar solos  guest artists have provided are tastefully inserted into the mix by Enzifer and Uruz. Perhaps it’s the complete change of tempo and instrumentation, but the album closer, ‘Woe’, is the most powerful: the slow, moving organ melody suits the name perfectly, summing up the feelings of loss Urgehal themselves (not to mention their fanbase) experienced upon Trondr’s death. 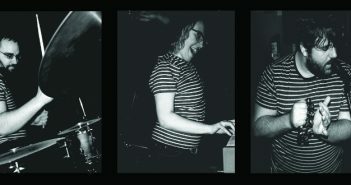 The song translates as a death knell not just for the artist, but for the band. Two additional tracks, cover versions of Sepultura’s ‘Funeral Rites’ and Autopsy’s ‘Twisted Mass of Burnt Decay’ are slotted in after ‘Woe’, but feel more like bonus tracks than part of the album proper. Both songs are, sad to say, weaker than the band’s own tracks. In spite of their ‘classic’ appeal, they sound primitive in comparison with Urgehal’s own compositions, and lack the rawness that made them great when they were originally released. While other bands within the genre like Marduk and Belphegor will still fly the flag for unapologetically brutal blackened death metal, Urgehal’s absence will nevertheless be felt. Their unquestioning devotion to the ‘corpsepaint and satanism’ aesthetic of second-wave black metal is something that is slowly disappearing from the genre, and newcomers to the scene often fail to grasp the full scope of history contained therein. Aeons in Sodom might not be the best black metal release of 2016, but its purpose extends beyond that. 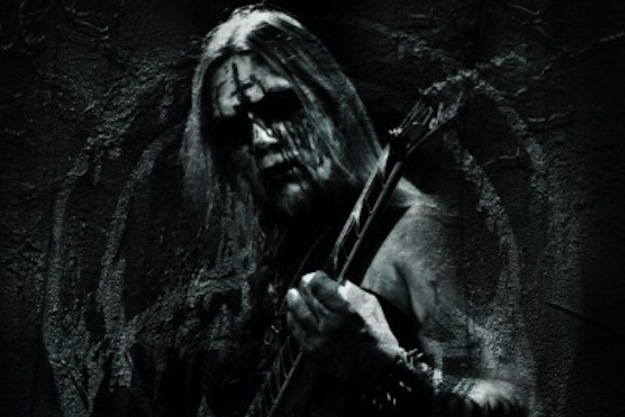 It is a fitting, tasteful tribute by his bandmates and contemporaries to a black metal stalwart. 1. Loudwire’s report on Trondr’s passing is a short but heartfelt piece. 3. A very good example of this can be heard on ‘Astral Projection to Rabid Hell’ off the Ikonoklast album. 4. Think Darkthrone’s demo era, like Cromlech, or 1991’s Soulside Journey – the typical Norwegian black metal sound of A Blaze in the Northern Sky, Under a Funeral Moon or Transilvanian Hunger is not what to expect from an Urgehal record. 5. This approach hearkens back to the founding fathers of black metal’s first wave instead of the symphonic route many of their contemporaries use: take, for example, the entirely different sounds of Dimmu Borgir’s Abrahadabra and Svartahrid’s Ex Inferi. Despite being released in the same year (2010), Abrahadabra rely very heavily on symphonic orchestrations, while Ex Inferi falls back on treble-rich, high-gain tone to develop atmosphere. 6. 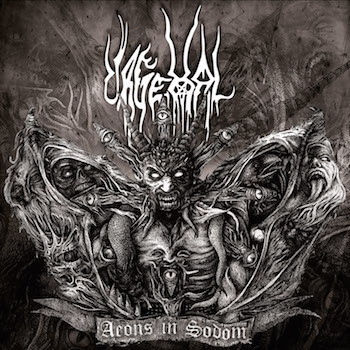 Further evidence of the overriding death metal influence on Urgehal’s sound, as the majority of black metal eschews showy leads, opting instead for a more melodic approach where lead lines are often paired with vocals (or other instruments) instead of being ‘solos’ in the strictest sense.